Lori has purposefully kept the Wedding Ceremony fees simple! Weddings at the site of your choice in South-Western or Central Ontario, including Kitchener, Waterloo, Oakville, Mississauga, Milton, Burlington, & Muskoka are $429.00 plus HST. Please ask for a price on weddings in any other area that you desire. 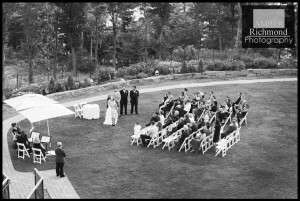 Lori’s fee includes pre-wedding consultations as needed and a personalized wedding ceremony of your choice. Lori highly encourages you to have a rehearsal one or two days prior to the ceremony. This is to allow for smooth running the day of the ceremony. While it is not mandatory, it helps to eliminate stress the day of and to ensure that everyone feels confident about what is happening, when. While you will never regret having paid the extra fee for the peace of mind, you could regret omitting it. The rehearsal fee is $159.00 plus HST. In many cases Lori is booked a year in advance and therefore may have limited short-term availability. Lori suggests you book as early as possible after choosing your date. Lori can meet at your convenience and at a location that is convenient to you. Lori will hold your date upon receipt of deposit. Simply send a deposit of $200.00 made payable to Lori LaRonde and mail to 31 Townsend Dr Unit 13 Breslau N0B 1M0 (or email bank transfer to lorilaronde@rogers.com This will reserve your date. The remainder of the payment may be submitted as a post-dated cheque or by email transfer dated for 30 days prior to your ceremony. Many brides and grooms prefer to prepay the whole amount upon booking. *Out of area mileage charges may apply (50 cents/km) depending on season.